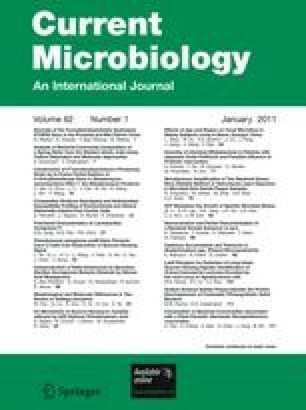 Bacterial biosensor strains have greatly facilitated the rapid discovery, isolation, and study of quorum-sensing systems. In this study, we determined the relative sensitivity of a LasR-based E. coli bacterial bioluminescence biosensor JM109 (pSB1075) for 13 diverse long-chain N-acyl-homoserine lactones (AHLs) including oxygen-substituted and -unsubstituted AHLs containing 14, 16, and 18 carbons and with and without double bonds. Furthermore, we show by bioassay, HPLC, and GC/MS that four long-chain AHLs of the C16-HSL family are encoded by the avsI gene of Agrobacterium vitis strain F2/5, a non-tumorigenic strain that inhibits pathogenic strains of A. vitis from causing crown gall on grape. The four C16-HSLs include: C16-HSL, N-hexadecanoyl homoserine lactone; 3-oxo-C16-HSL, N-(3-oxohexadecanoyl)homoserine lactone; C16:1-HSL, N-(cis-9-octadecenoyl)homoserine lactone; and 3-oxo-C16:1-HSL, N-(3-oxo-cis-11-hexadecenoyl)homoserine lactone. Thus, the LasR-based bioluminescent biosensor tested in this study should serve as a useful tool for the detection of various long-chain AHLs with and without double bonds as well as those oxylated at the third carbon from uninvestigated species. The online version of this article (doi: 10.1007/s00284-010-9679-1) contains supplementary material, which is available to authorized users. M. A. Savka thanks Rochester Institute of Technology (RIT) for a sabbatical leave of absence. This study was supported by the NRI Competitive Grants Program/USDA award numbers 2002-35319-12577 to M. A. Savka and 2006-35319-16558 to T. J .Burr.